During the last few years the Sun and solar wind have shown a behavior that was so unexpected that the phenomena was described as “the strange solar minimum”. It has been speculated that the 23/24 solar cycle minimum may have indicated the onset of a Maunder-Minimum-type Grand Minimum. Here we review what is known from 1500 years of proxy data about Maunder-type Grand Minima and the minima of the cyclic Centennial Gleissberg variations. We generate criteria that distinguish between the two types of event. Applying these criteria to the observed solar terrestrial data we conclude that the unexpected behavior began well before the solar cycle 23/24 minimum. The data do not support the Maunder Minimum conjecture. However, the behavior can be understood as a minimum of the Centennial Gleissberg Cycle that previously minimized in the beginning of the 20th century. 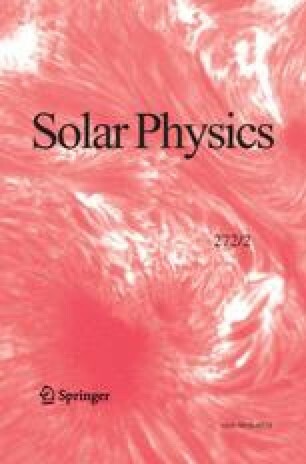 We conclude that the Centennial Gleissberg Cycle is a persistent variation that has been present 80% of the time during the last 1500 years and should be explained by solar dynamo theory. Gibson, S.: 2007, Whole heliospheric interval. http://ihy2007.org/WHI/WHI.shtml.